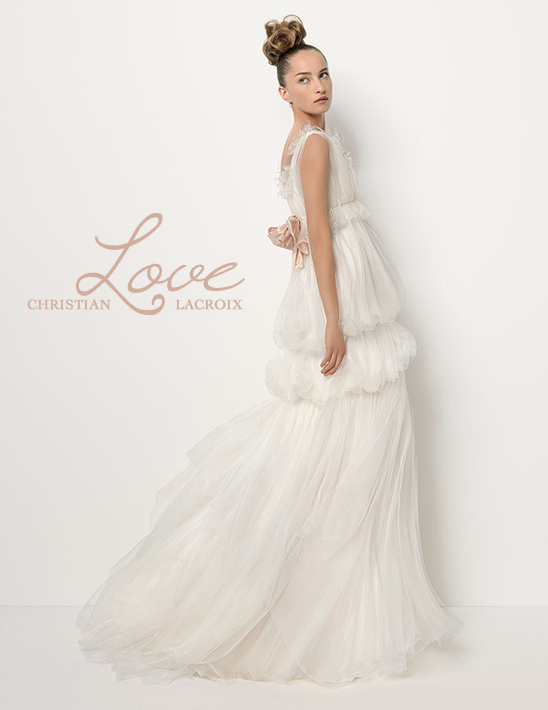 The Christian Lacroix bridal gown collection is head to toe couture. The gowns ooze luxury and are the perfect choice for a bride looking for something high fashion. All of the gowns are unique and push the limits of bridal fashion. They are all spectacular. See the entire collection here.